The IFFR (International Fellowship of Flying Rotarians) is an international organization enjoying support from over 1,500 members in more than 50 countries world-wide. IFFR is divided into four regions (Americas, Europe, Australia-Asia, and Africa), which consist of fourteen sections. MEMBERSHIP is open to all Rotarians actively interested or engaged in aviation. To promote the objects of Rotary through an interest in aviation. 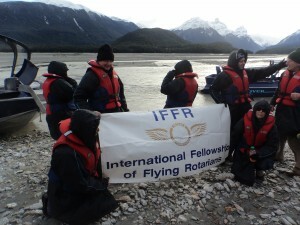 To use an interest in aviation to develop fellowship among all Rotarians. To foster high ethical and safety standards in all aspects of aviation. To promote Rotary Service through all types of air transport. To advance international understanding by personal contact between Rotarians. IFFR is one of the oldest Rotary Fellowships and was formally established through the efforts of a dedicated Rotarian, E. Edison Kennell, of Seattle, Washington, in 1965. In countries where distances are great and communications are limited IFFR pilots have used their aircraft to help with medical and other emergencies, and several Sections hold meetings at which young people are introduced to the world of aviation. The activities of IFFR bring together flying and non-flying Rotarians alike in local section meetings all over the world. Many members have flown their private aircraft over the oceans of the earth for Conventions, fly-in events, Rotary service projects, and various other home club and district programs. International understanding has and will continue to benefit through the Fellowship. At every R.I. World Convention IFFR maintains a Booth in the House of Friendship to bring to the attention of earthbound Rotarians the manifold benefits which aviation brings to Rotary, and which IFFR members have adopted as an Avenue of Service. Fly around trips are held after each R.I. Convention. The New Zealand Section of the IFFR was formed in February 1995 and now as a small but active membership of about 50 keen Rotarians. Our group meet at 6 monthly intervals for a weekend fly-in and social activities, each time at a different location throughout New Zealand. We are also fortunate to be able to share the company of Australian IFFR Members who visit for many of our fly-ins, and our own members are regular attendees at similar events that are held in Australia. Previous fly-ins have been held in Paraparaumu, Masterton, Nelson, Whakatane, Waipukurau, Lake Tekapo, Westport, Feilding, Ashburton, Auckland, Taupo, Wanaka, Blenheim, Kaikoura, Napier, Christchurch, Kerikeri, Wanganui, Hokitika, Stratford, Chatham Islands and Gt. Barrier Island. 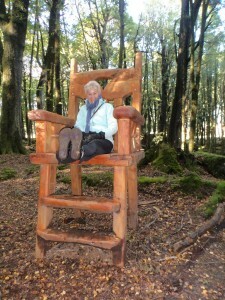 Refer to the ‘NZ FLY-INS’ page for details of the next and past Fly Ins. Any Rotarian with an interest in aviation is welcome to join our group, and can apply on line directly from the website “Join” page. To date we have membership from those that simply must look up when an aircraft passes overhead, to Air Traffic Controllers, Engineers, Aircrew, and Pilots. Some are active, some retired, some wishing to retire, some wishing to be more active in aviation. Membership to IFFR is an ideal way to experience aviation and fellowship all rolled up in one.